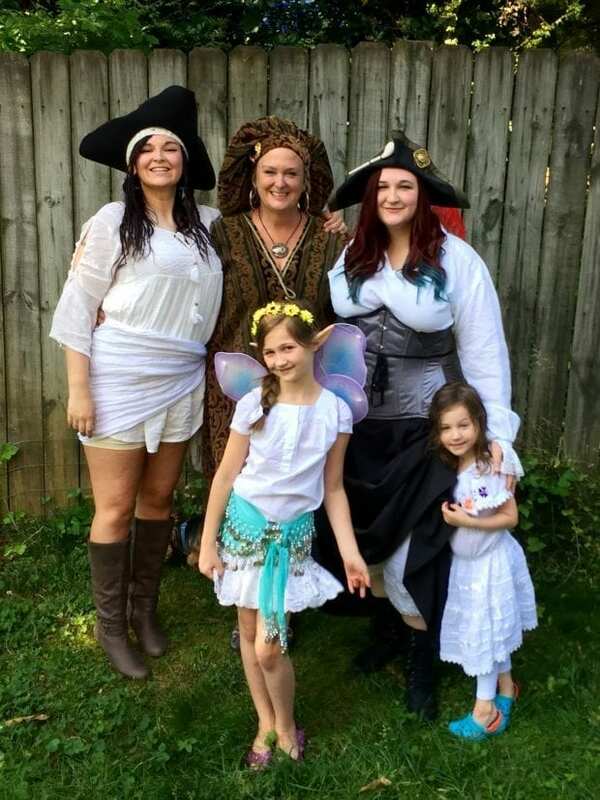 I’ve been struggling with my weight since my last child was born. After having an emergency c-section, it destroyed the muscles in my stomach, and I tend to gain most of my weight in that area now. When I look at recent pictures of myself, instead of thinking about how cool the opportunity was or experience was, I can only think about one thing; how big I am compared to everyone else. It's hard to look at sometimes and for that reason, I tend not to take a lot of pictures. I've done other diets before, but I really struggled with them because it was a meal replacement instead of training my brain on portion control. Even though I lost some weight, I gained it all back after I finished the program. I participated in a Jenny Craig program a couple of years ago, and that was awesome, but I should have stuck with the program for a longer period. So I'm trying again and taking you on my journey. I've already had my first consultation, and my consultant and I had a lengthy talk about the ways we can reach my goals this year. I started by reviewing the menu and customized it to take out foods that I wouldn't normally eat as well as some personal choices to avoid foods that I don't like. Like Bacon. (I know I'm the only one on the planet that doesn't like bacon.) I'm also careful to avoid lentils because it is a food intolerance for me and makes me feel terrible. So we exchanged those items for others that I can have. Some of my favorite foods from the Jenny Craig program are the Egg and Sausage Burrito, the Broccoli & Cheese Stuffed Potato, and the Classic Cheeseburger. Not to mention the Chocolate Lava Cake, oh my goodness it is so good. Another change I think will help me succeed in the program this time around is by taking out things from my menu that I wouldn't normally eat. For example, I wouldn't eat Cinnamon Rolls for breakfast unless it was a special occasion or holiday with my kids. So I choose to exchange it for something I would eat, like oatmeal. 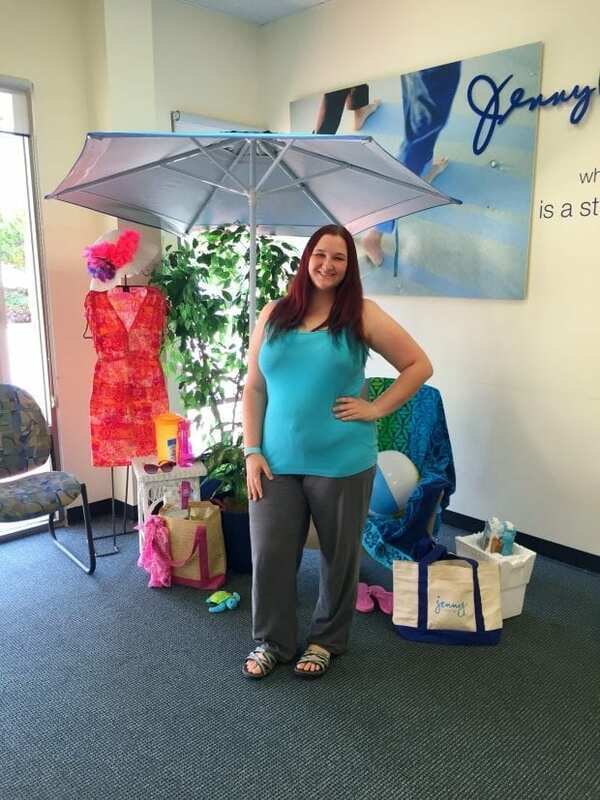 I love going into my local Jenny Craig office because when I walk in everyone greets me to say hello and see how I'm doing, not just my consultant. One of the best tips my consultant gave me was to take my food out of the packaging and serve it on the plate so that my brain will learn the proper portion sizing. Seeing the vegetable portion bigger than the main course all on one plate will help me in the future to fill my plate correctly. I've been on the program almost two weeks now, and I've already lost 5 pounds! I hope you'll come with me on my journey to getting healthy this summer. If you follow JaMonkey on social media, you know my kayak arrived, and I'm looking forward to getting outside this summer to get exercise that doesn't include stationary machines. My hope is to take this same picture when I return to Walt Disney World in October, except I'll be thinner! **Members following the program, on average, lose 1-2 lbs. per week. 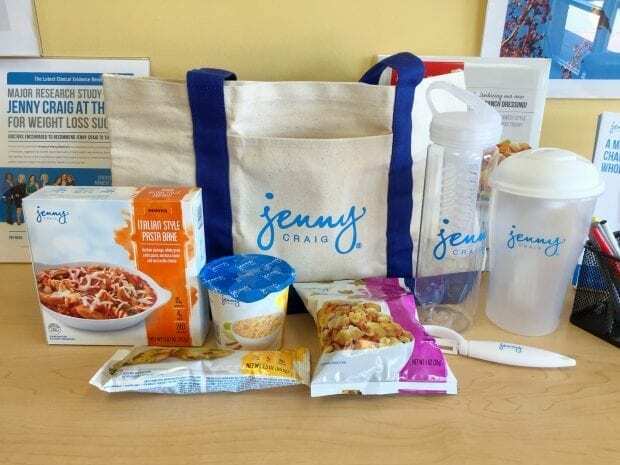 I was provided a free trial Jenny Craig program and meals. However, the opinions expressed are entirely my own. If you’re interested in trying Jenny Craig yourself, they have a special offer for the summer right now. Previous Post: « Where Did This Tween Come From? Yay! I had no idea you were using all those methods from Jenny. I like the one about portions on a plate. That’s killer for me, too. It’s been very helpful so far. I’ve lost 5 inches from my waist! awesome! Good Luck with the program! I know you can do it. I do hope we ALL get to a place someday though, that we aren’t comparing ourselves to someone else. I do it too, and it’s not good. We are all different, we should be more accepting of ourselves. You are beautiful and aren’t afraid to show it and act it. I think you are inspirational.